Inventory Management - Using Inventory Models is the final Certificate course of Applied Operations Management. Inventory models help businesses answer many questions, such as; When should one order materials and in what quantity? They help firms to be cost-effective in ordering a quantity that minimizes the ordering costs and total inventory holding costs, as well as the frequency of ordering, to keep goods and services flowing to the customer without interruption. The course will introduce the basics of inventory management and also introduce concepts such as probabilistic demand and deterministic demand, along with types of costs such as order cost, cost of item, and carrying or holding cost. 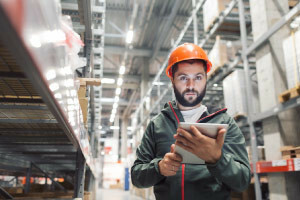 There are a number of models available to help determine how much inventory there is needed to restock the parts or products, and you will be introduced to inventory models such as the single period inventory model, the economic order quantity (EOQ) model and the multi-period inventory model. Examples of these models are demonstrated. This course will be of interest to any professionals working in the area of operations management, inventory management and procurement who would like to learn more about using inventory models. The course will also be of great interest to learners interested in a career in operations management or procurement. Use inventory models such as the Economic Order Quantity model.